Happy Friday! It has been super cold here this week, and last weekend was completely rainy, so it is time to break out a summer polish to make me think warm thoughts! 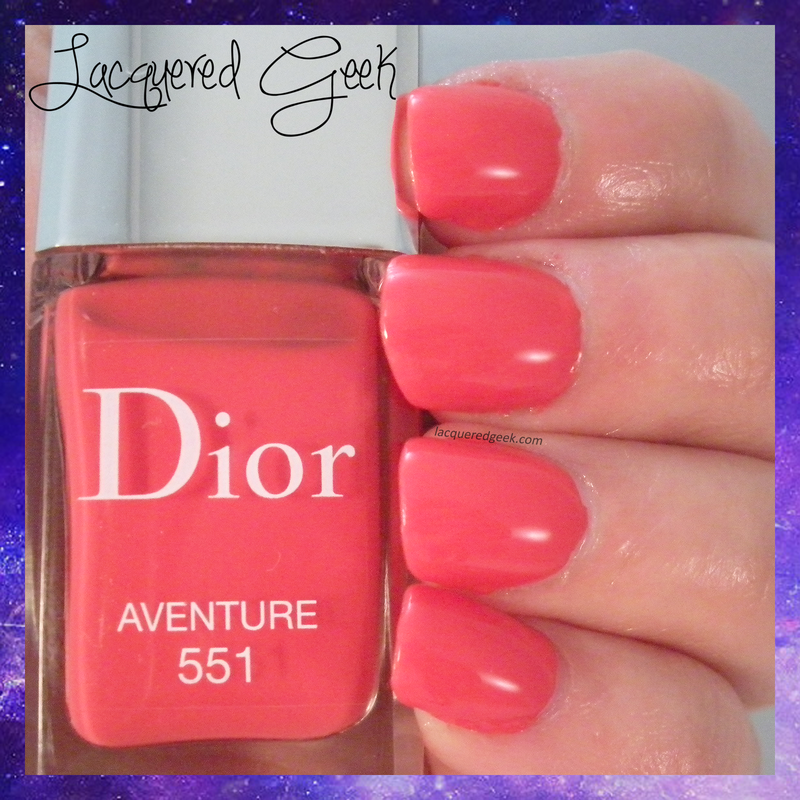 I picked up Dior Aventure #551 last month, and it was perfect to get me thinking of sunny days! 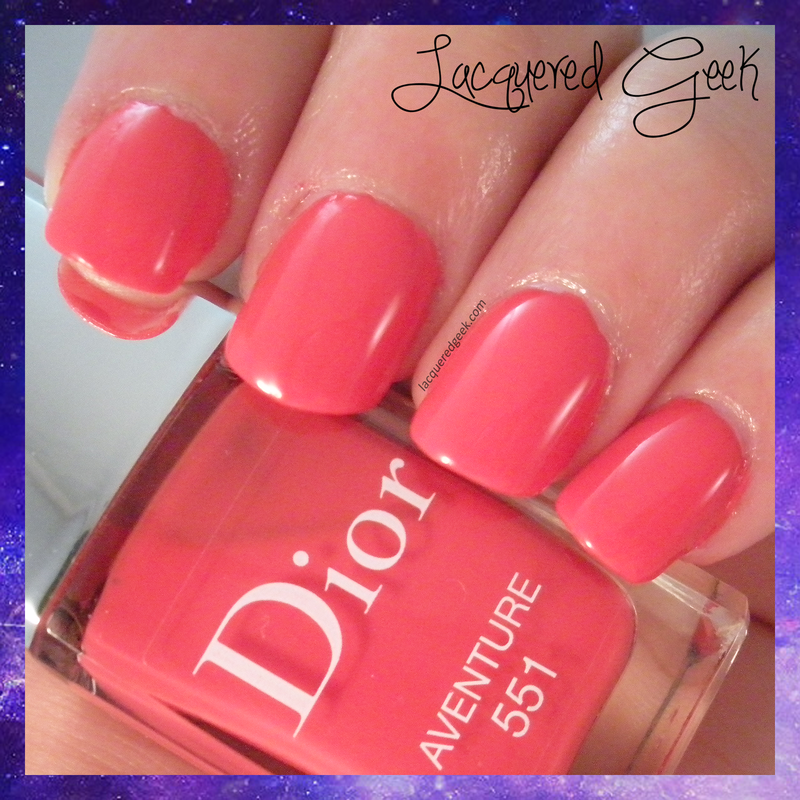 Aventure is a perfect coral, and a perfect summer polish (or when you just need to think of summer)! Corals are a tough color for me to find and like. They either are too pink or too orange but Aventure is the perfect blend of both! It is a great color for both your toes and fingernails. 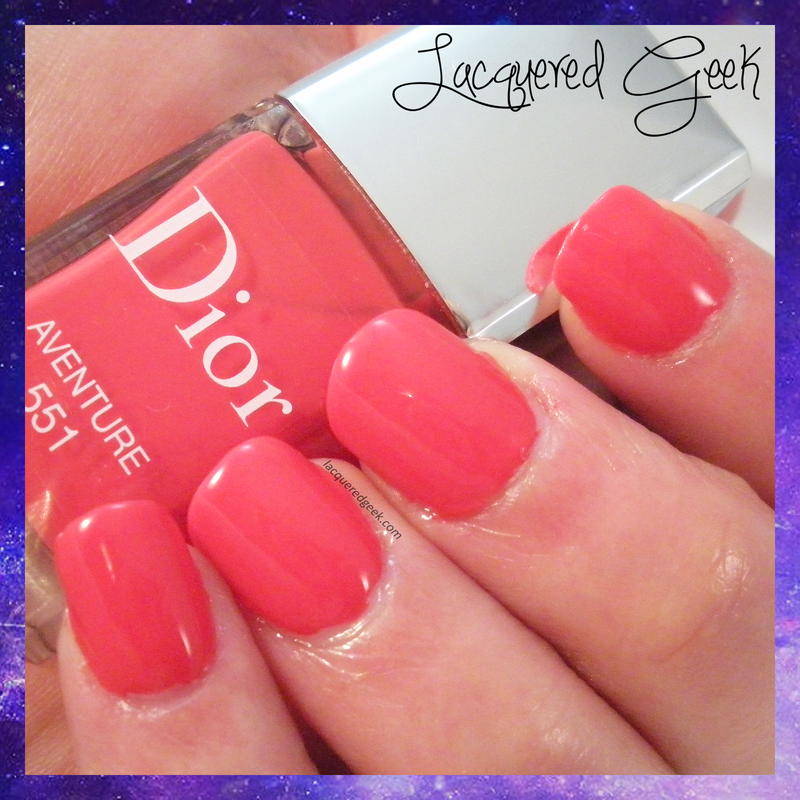 The formula, as with all the other Dior polishes that I have tried, was outstanding. It leveled out perfectly, and dried super shiny. I put my usual top coat on, and the shine was actually less than the polish had on its own. I only needed one coat for complete coverage. I wasn't transported to a tropical island paradise, but it still looked great! Aventure retails for $25 at Dior counters at higher end department stores and Sephora.